Water is necessary. It helps carry nutrients to your cells, flushes bacteria from your systems, prevens dehydration and replacing fluids lost from sweating, but you may not need to drink as much as you thought. 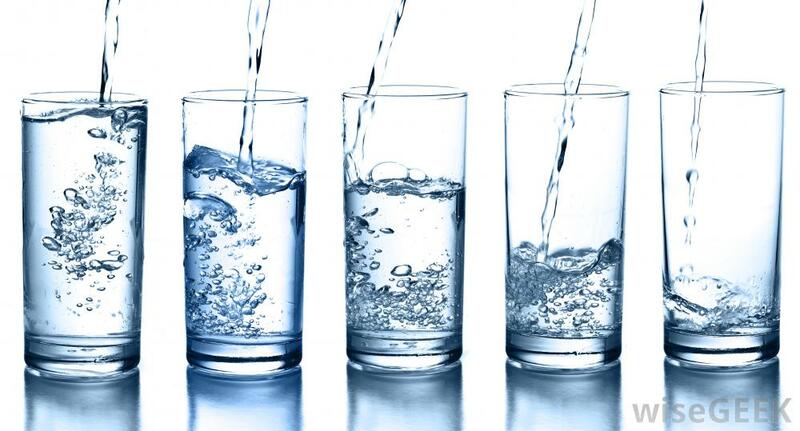 The Harvard Health Letter published new water recommendations challenging the long-standing eight 8-ounce glasses-a-day rule, which they say weren’t based on science, but instead an educated guess on what the body needs to remain hydrated. Harvard recommends drinking around 30 to 50 ounces a day, which is equivalent to approximately four to six glasses of water. However, the team isn’t just recommending water to drink at this optimal standard, but fluids in general to aid in hydration. Even certain foods like watermelon, lettuce, spinach, and soups provide the body with fluids that can work in tandem with water to retain and process a healthy amount of water. Women who are pregnant or breastfeeding and those who engage in a lot of exercise may need more than the standard six glasses, however. Recently, a panel of experts from around the world collaboratively wrote a study published in the Clinical Journal of Sports Medicine that also warned how drinking beyond thirst can be hazardous for your health. Athletes are at the greatest risk of drinking to the point of exercise-associated hyponatremia, which occurs when the kidneys become flooded by large quantities of water, unable to process the liquid efficiently. The sodium levels in the human body aren’t able to balance the amount of water consumed, eventually leading to swelling cells and in very severe cases, death. Going overboard can be avoided so long as you listen to your body and recognise when you are actually thirsty. Thirst is one of the basic survival instincts, as it performs several crucial bodily functions, according to the Society of Neuroscience. In addition to flushing and cleansing the body, water maintains body temperatures; transports vitamins, minerals, hormones; and lubricates joints, eyes, and intestines. But how do we really know we’re thirsty? The instinct to drink water keeps us alive. Adults can’t survive for more than a week without water, while children can die in a period of a few hours if left in a hot car, according to Scientific American. Thirst is regulated by a messaging network between the brain and various parts of the body. The negative feedback from organs and other parts turns on the thirst mechanism located in the brain, which cues us to pour a glass of water. As humans age, the loop can weaken and put the elderly population at risk for dehydration and a host of other health issues. Pomegranates are a lot of trouble aren’t they? They have spiny skin, and if not sliced into just so, they make a mess and leave some of the seeds inside, which is the actual fruit part, cut and bruised; the surrounding white membrane is too bitter to eat. Pomegranate juice, too, easily stains hands and fingers. They’re a kind of berry, so it would be easier to spring for some strawberries instead. 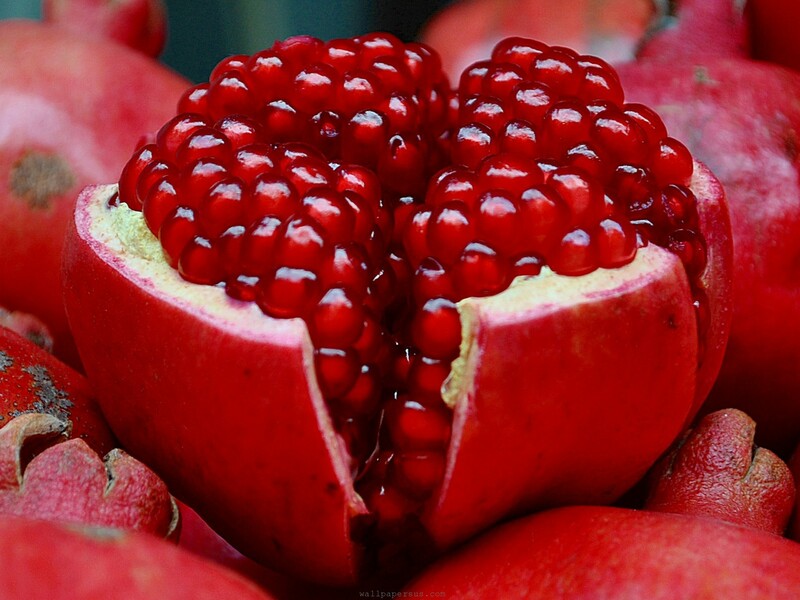 The thing is pomegranates are healthy in their own right. Like strawberries, they are a rich source of vitamin C and antioxidants, not to mention fibre and anti-inflammatory properties — but more than that, studies show eating the fruit and drinking pomegranate juice can help protect against disease, like certain cancers and Alzheimer’s. NPR reported the West is newly aware of pomegranate’s benefits; the fruit is native to Iran and as we mentioned before, were often overlooked due to their meticulous, albeit necessary preparation. Pomegranates can actually be traced back to 3000 B.C., with the fruit being buried alongside ancient Egyptians, like King Tut, “in hopes of a second life.” Some scholars go as far as to suggest it was a pomegranate, not an apple that tempted Eve in the Garden of Eden. Those aforementioned antioxidants protect against dialysis-related infections, or kidney diseases, as well as cardiovascular complications (high blood pressure). A study presented during the 2010 annual meeting of the American Society of Nephrology found the potassium content in pomegranate juice reduces many of the dialysis-related complications for kidney patients, otherwise showing a reduced morbidity rate. Shape cited the seeds’ vitamin C accounts for nearly 40 percent of the daily recommended amount, while they work to lower blood pressure and satiate hunger due to high levels of fiber. If you don’t want to just spoon-feed yourself some pomegranate seeds, consider topping your oatmeal or yoghurt with them. Pomegranates also go well with chicken and turkey dishes. A study from the University of California, Riverside found components of pomegranate juice may stop prostate cancer cells from moving, while also weakening the chemical signals that promote this kind of cancer to spread in the first place. And in a separate study, Israeli researchers found pomegranate juice may prevent and kill breast cancer cells (though it’s hardly the only cancer-fighting food). If you do skip the fruit and go right for the juice, be mindful of the brand. Last summer, Minute Maid’s pomegranate and blueberry juice was found to consist mostly of harvested apple and grape juices. But POM Wonderful is, in fact, 100 percent pomegranate juice; it is “superior” to other juices, UCLA researchers said. Their research showed it packs more antioxidants than grape, blueberry, and orange juices. It even edges ahead of green teas and wine. Bottoms up. 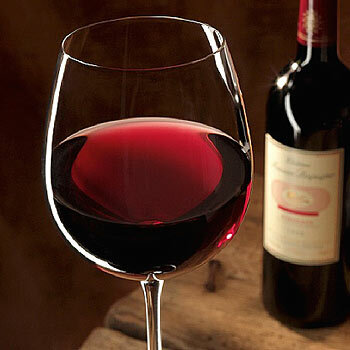 Cancer may soon recruit help from a compound found in a normal bottle of red wine. Researchers from Oregon State University’s College of Pharmacy are exploring the nascent benefits of resveratrol and quercetin—two naturally occurring antioxidant compounds found in grapes, green tea, berries, dark chocolate, and red wine. The study, published in the Journal of Controlled Release, reveals the potential polyphenols may have as a foundational ingredient in advanced cancer treatments thanks to their effects on an existing chemotherapeutic cancer drug, adriamycin. Adriamycin has proven before to be an effective chemotherapy treatment for lymphomas, breast, ovarian, and other cancers. However, it has been limited in its use because it often causes cardiotoxicity, a dangerous side effect in which the heart weakens, and therefore less efficient at pumping blood around the body. The polyphenols resveratrol and quercetin may be able to eliminate this problem. A wealth of previous studies have tested their potential to be used in medicine, including some from Alani’s team, which found they could reduce cardiotoxicity in both animal and human trials. The key innovation in advancing this cancer treatment is the system researchers developed to administer resveratrol and quercetin. By using copolymers, they were able to make these compounds water soluble and ultimately injectable into the bloodstream. By administering the polyphenols intravenously, patients would be able to achieve higher levels than they could have achieved through ingesting from diet or oral. Adriamycin may be used in conjunction with the resveratrol-quercetin injection, allowing them to use the chemotherapy drug without causing any damage to the heart. In addition, because polyphenols are antioxidants they’ll bring with them an extra anti-cancer boost of their own. In 2013, a 12-year study demonstrated how resveratrol was able to slow the growth of cancer cells. More recently, quercetin has been shown to improve heart function, endurance, and extend the lifespan of mice. Together, they could serve as a treasured ingredient in future cancer therapies.